Use a dedicated credit card for online purchases and a separate card for to pay bills, buy gas, groceries, etc. If the card is compromised, it’s easy to cancel the account. When making purchases, verify a secured connection by looking for a little padlock or by making sure the Web address starts with “https://” (the “s” stands for secured). Don’t use free wi-fi on your mobile device. Phishing scams are becoming more frequent and more sophisticated, so be wary of emails or texts claiming to be from your favorite retailer. The best defense is not to click on links in a message or give out any personal information. If the message is legitimate, you can always go directly to the retailer’s website. 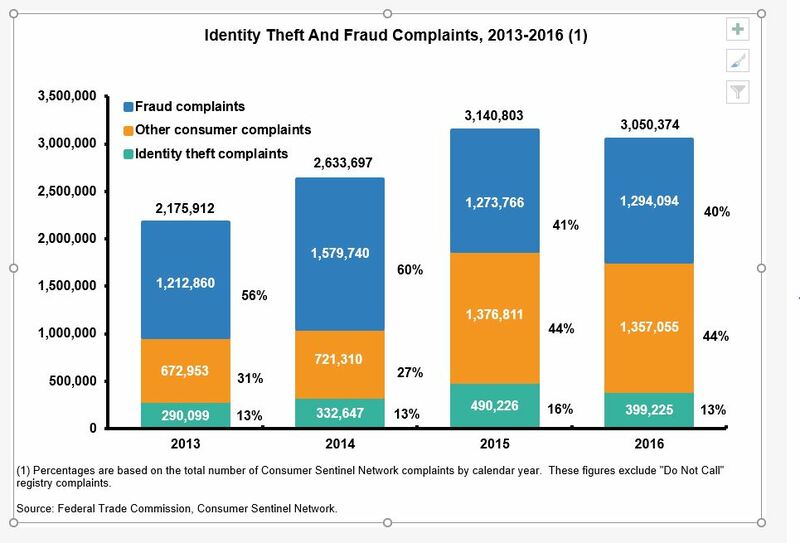 For more on identity theft and cybercrime, visit our Facts & Stats page. Good news for insurers. Latest data points to a promising decline in the national problem of metal theft, according to the National Insurance Crime Bureau (NICB). In a new report, the NICB notes that in just three years the number of metal theft insurance claims has declined by over 26 percent from 14,676 in 2011 to 10,807 in 2013. The report reviews metal theft claims from January 1, 2011, through December 31, 2013. During this period, 41,138 insurance claims for the theft of copper, bronze, brass or aluminum were handled Ã¢â‚¬“ of which 39,976 (97 percent) were for copper alone. The NICB notes that when the number of metal theft insurance claims per month and monthly average copper prices are compared, the number of claims filed is found to have a statistically significant correlation with the price of copper. Tightening controls on the sale of scrap metal have had a positive impact in local communities, the NICB says. Ohio still ranks first of all states generating 4,144 metal theft claims in 2013, followed by Texas (2,827), California (2,489), Pennsylvania (2,345) and Georgia (2,067). New York-Newark-Jersey City, NY-NJ-PA (1,725 claims) was the leading statistical area generating the most metal theft claims. More on the link between copper prices and incidents of metal theft in this NICB video. As mom to two young boys IÃ¢â‚¬â„¢ve had to become familiar with construction vehicle terminology, such as backhoes, skid steers and excavators. So itÃ¢â‚¬â„¢s with interest I read the latest heavy equipment theft report from the National Insurance Crime Bureau (NICB). The report, co-produced with the National Equipment Register (NER), analyzes heavy equipment theft data submitted by law enforcement to the National Crime Information Center (NCIC) and breaks out the data by theft state, theft city, theft month, equipment manufacturer, equipment style (type) and year of manufacture. — A total of 10,925 heavy equipment thefts were reported to law enforcement in 2012, down 7 percent from the 11,705 reported in 2011. Since 2008, there has been an overall 19 percent reduction in heavy equipment thefts. — The three most stolen heavy equipment items in 2012 were: mowers (riding or garden tractor: 5,363); loaders (skid steer, wheeled: 1,943); tractors (wheeled or tracked: 1,459). — Heavy equipment manufactured by John Deere was the number one theft target in 2012, followed by Kubota Tractor Corp, Bobcat, Caterpillar and Toro. — The top three states for heavy equipment thefts in 2012? Texas ranked first with 1,401 reported thefts, followed by North Carolina with 1,037 thefts, and Florida with 890 thefts. The report also looks into heavy equipment recoveries in 2012 and here comes the sticker shock for insurers. According to the NICB, only 20 percent of heavy equipment stolen in 2012 was found, making it a costly crime for insurance companies, equipment owners and rental agencies. Bear in mind that annual estimates of the cost of equipment theft vary from around $300 million to $1 billion, with most estimates in the range of $400 million. But, these estimates do not include the theft of tools or building materials or damage to equipment and premises caused during a theft, or losses from business interruption, such as the cost of rentals, project-delay penalties, and wasted workforce and management time. The NICB says the area that needs the most improvement is also the one that promises immediate results: making accurate information available to law enforcement 24 hours a day.